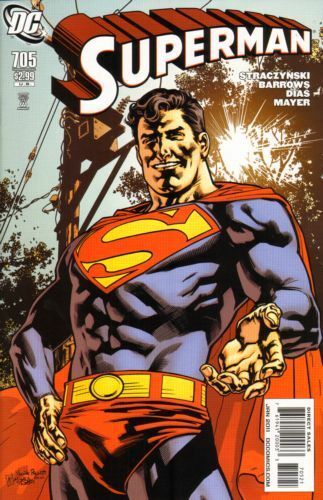 Written by J. MICHAEL STRACZYNSKI Art by EDDY BARROWS & J.P. MAYER Cover by JOHN CASSADAY 1:10 Variant cover by YANICK PAQUETTE & MICHEL LACOMBE 'Grounded' part 5 brings The Man of Steel to Des Moines, Iowa! A chance encounter, however, suddenly thrusts Superman back in time. So somehow he's Superboy again, the world is on the brink of nuclear Armageddon, and it's all his fault!